If the user activates the Driver successfully on the activation tab, but when they go to print it still prints the watermark. therefore the driver has not been able to save the activation files on your machine. To fix this please follow these instructions. 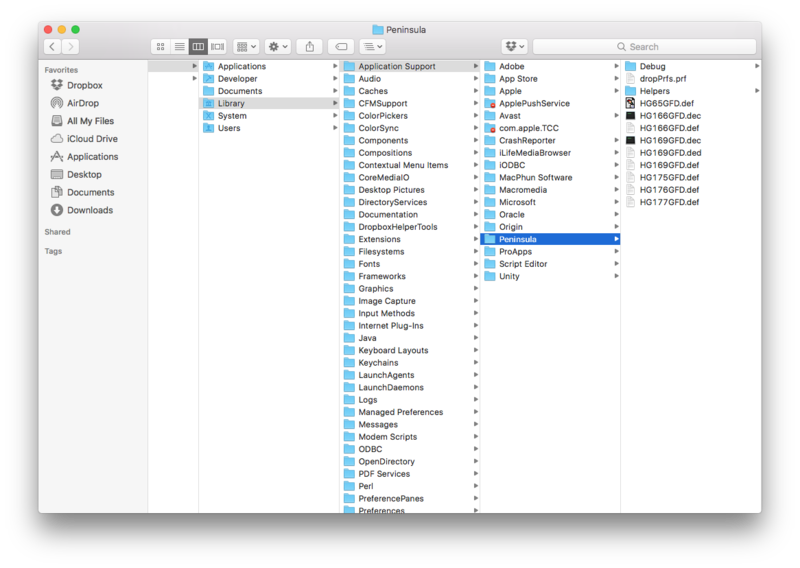 support folder. Open this and you should see the Peninsula folder. 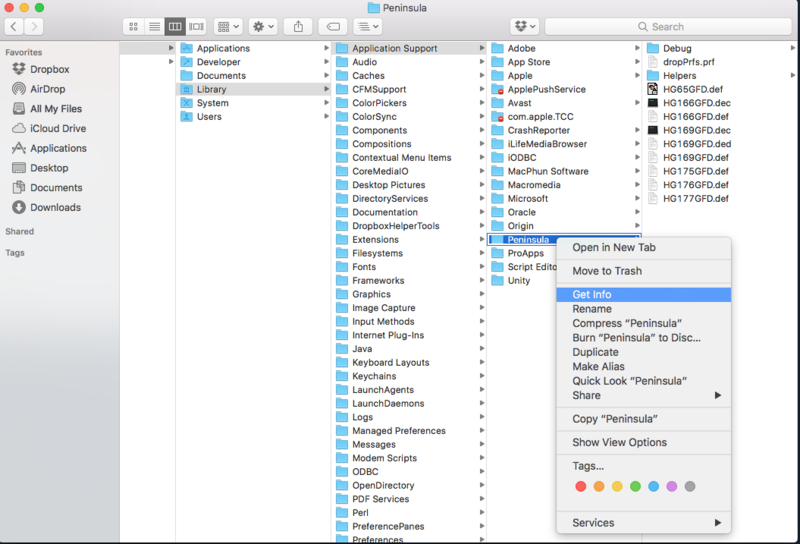 The image above shows the direct path you need to take to find the correct folder. 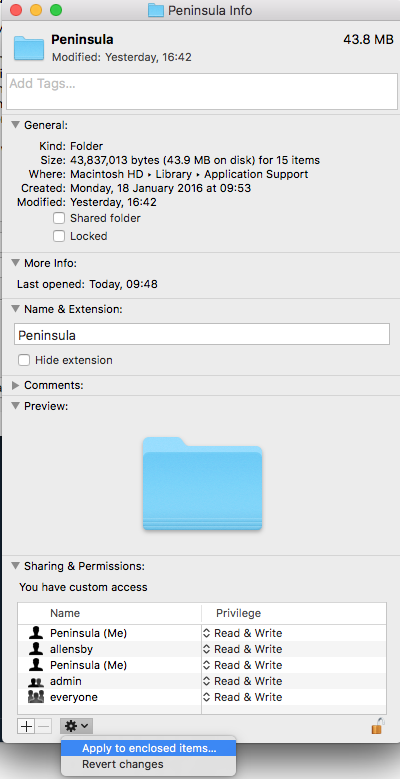 Right click on the Peninsula folder and click get info. 2. Changing Read only to Read and Write. If not click on the padlock, enter your admin password and change the settings (add your user if it is not there). Click on the "Read only" text and change to Read and Write. 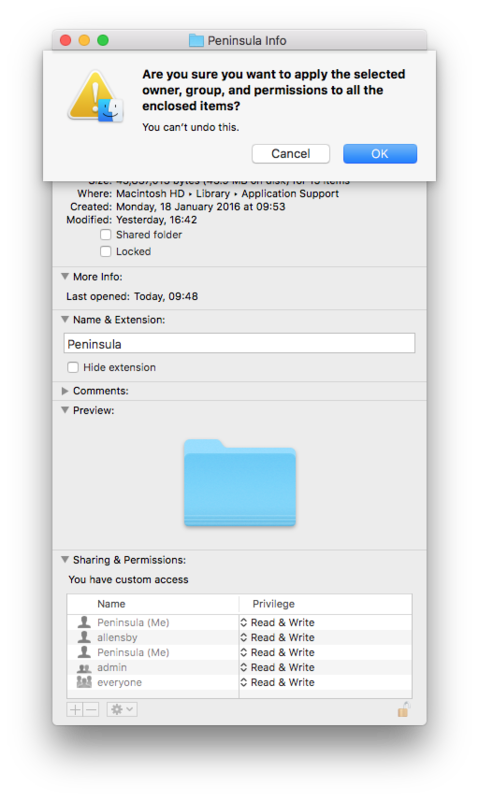 It should look like the image above if you changed the permissions to Read and Write. A dialogue should open asking to make sure if you want to apply the changes. Then try Activating your Thermal Driver again.